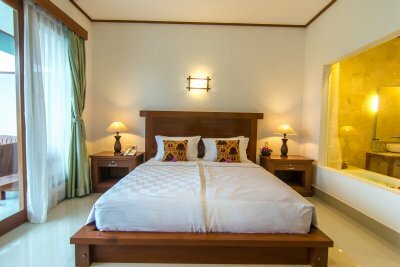 Gita Maha Hotel is situated in rustic atmosphere of Tegalantang village Ubud Bali, only 5 minutes drive to Ubud center, it's about 60 minutes drive from the Ngurah Rai Airport. 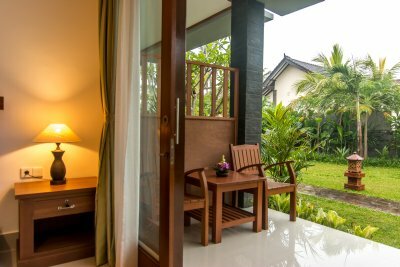 Nestled in Tegalantang village, an area at the northen part of Ubud Bali known mainly for its art and culture, Gita Maha Hotel is endowed with a green rice paddies field view swaying in the breeze, and great balinese style hospitality. 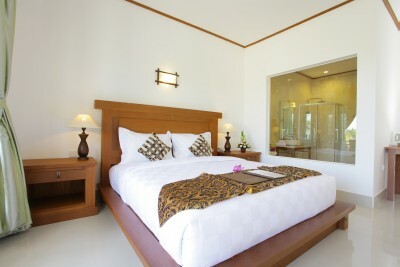 Featuring two floor Balinese blend with modern designed residence , have four suite room with private balcony, four suites with direct access to tropical garden, four suite room with rice field view and direct access to main pool with rows of duck statue line edge pool as a symbol of tolerance Balinese life. Explore Balinese experience with the warm welcome from Gita Maha family, do morning market visit to Ubud Market to feel social life Balinese, visiting village by doing trekking along rice field to Petulu village of white herons or just do sun bathing on pool chair with breeze of Ubud surrounded by tropical garden.